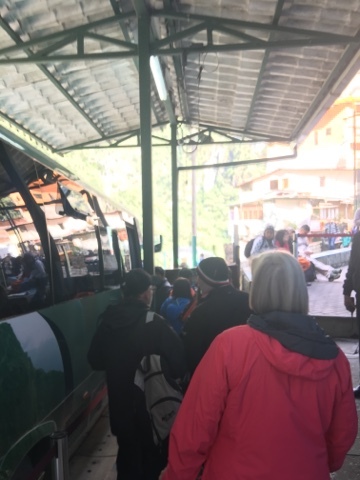 Despite an 11:00 p.m. late arrival the previous night, we were up early enough to eat breakfast, walk to the bus boarding area, and be in our seats about 8:15 a.m. for one of the world's most expensive bus rides (per mile). 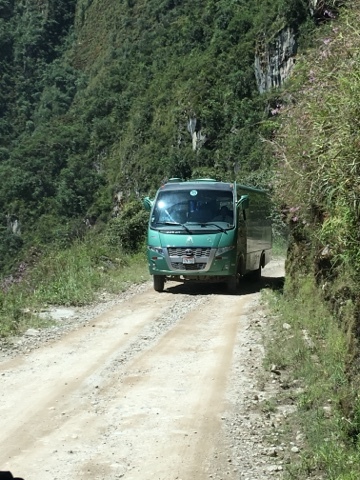 It's a thriller, with one switchback after another and oncoming buses every few minutes. 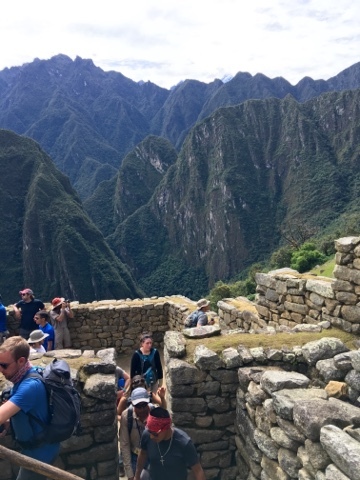 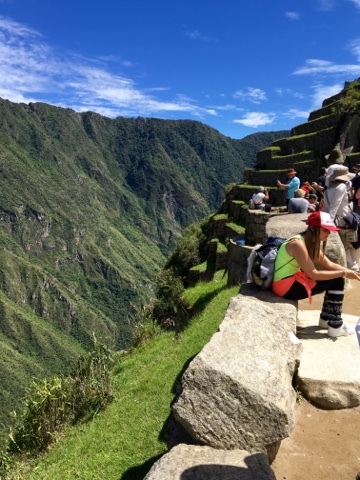 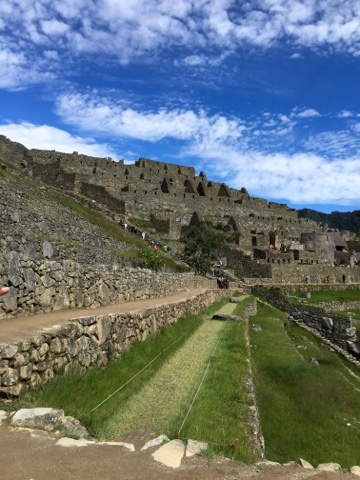 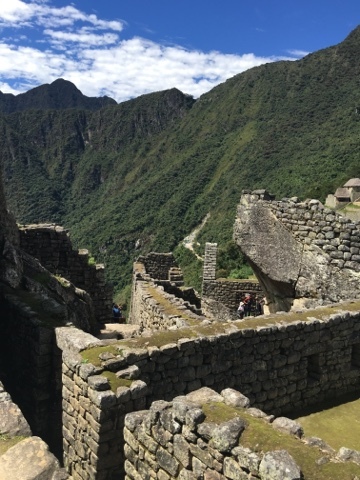 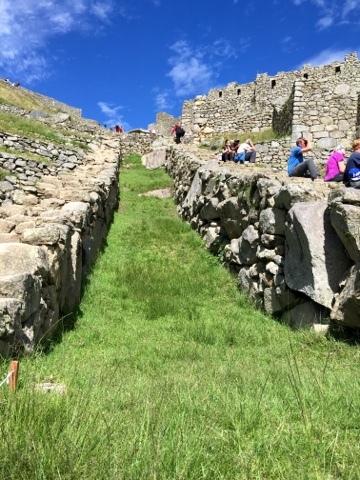 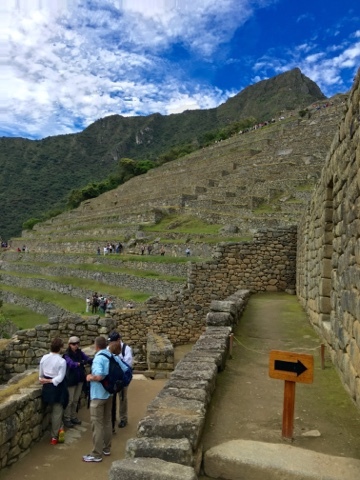 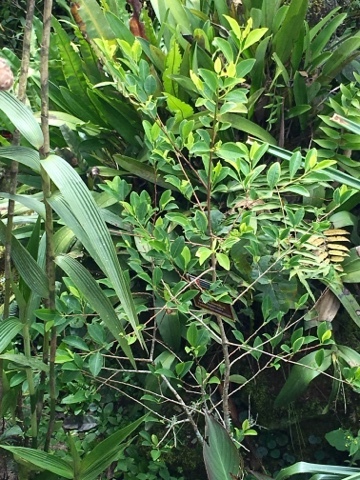 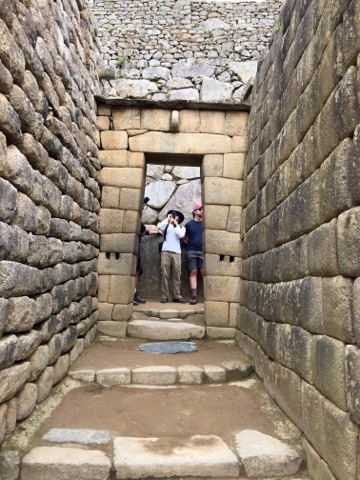 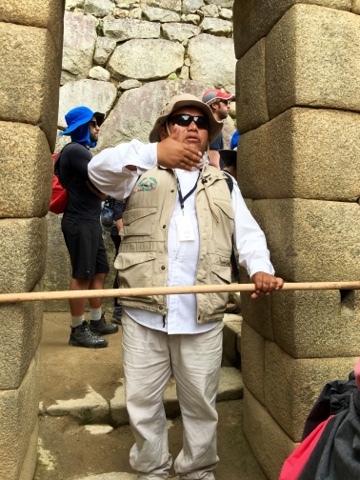 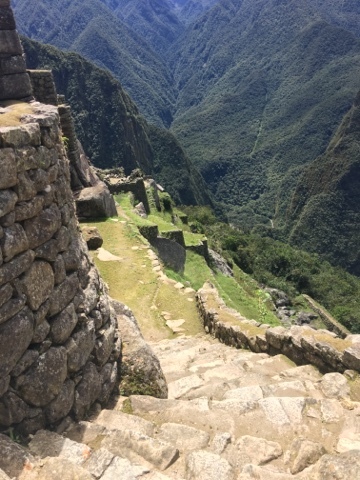 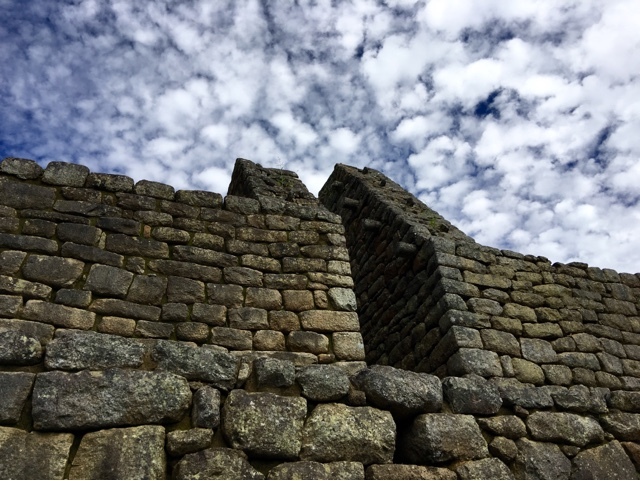 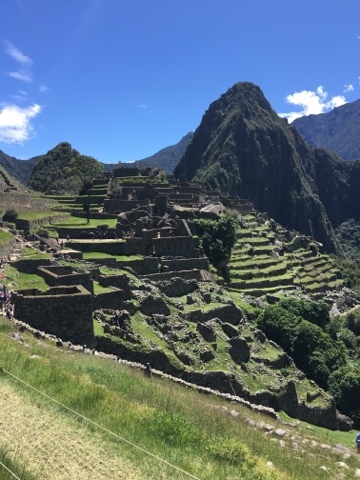 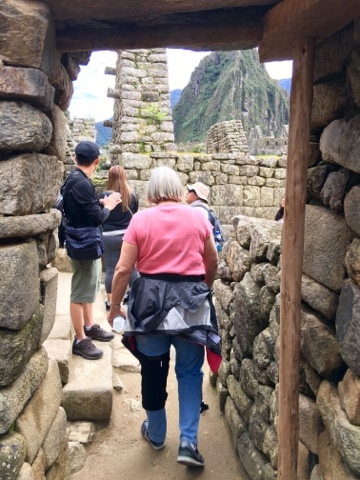 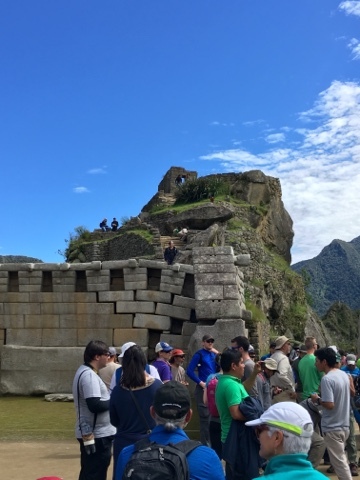 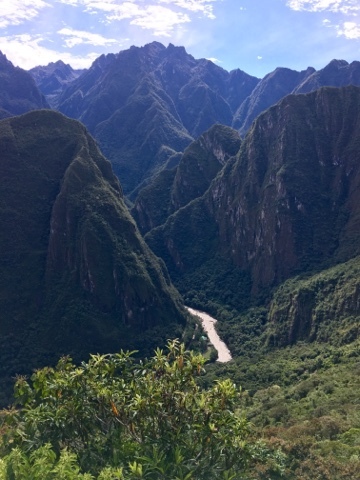 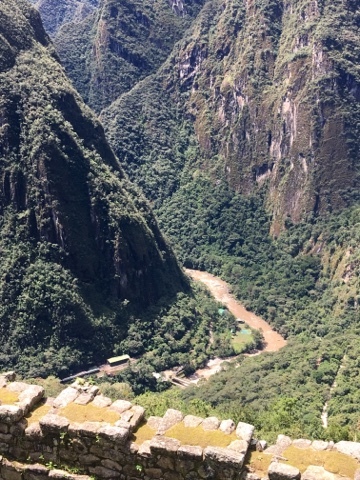 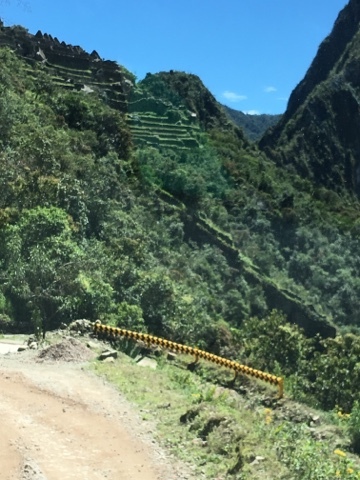 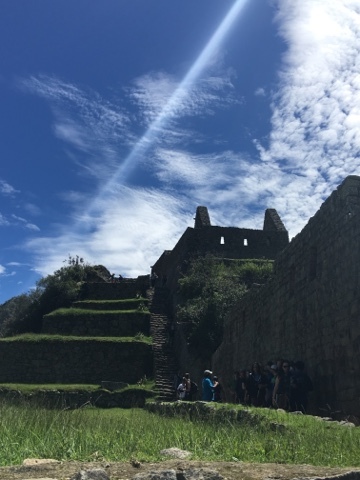 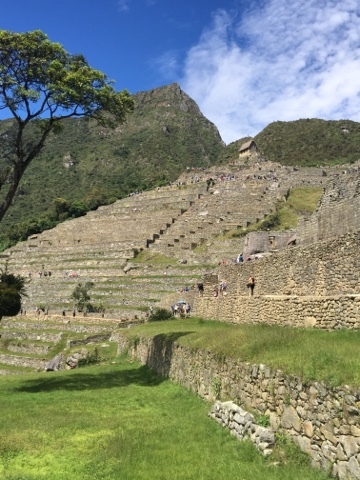 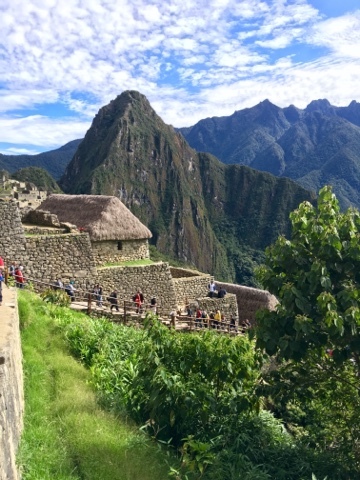 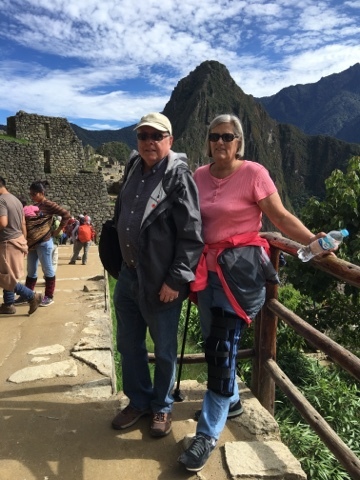 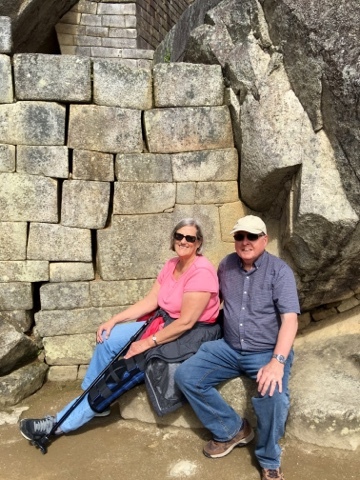 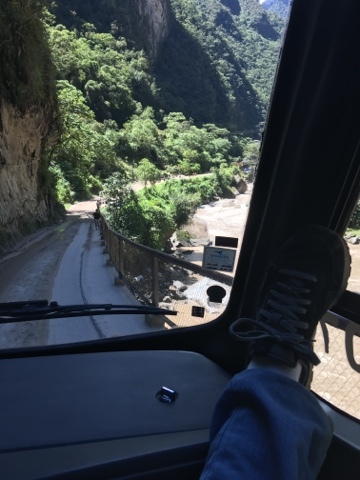 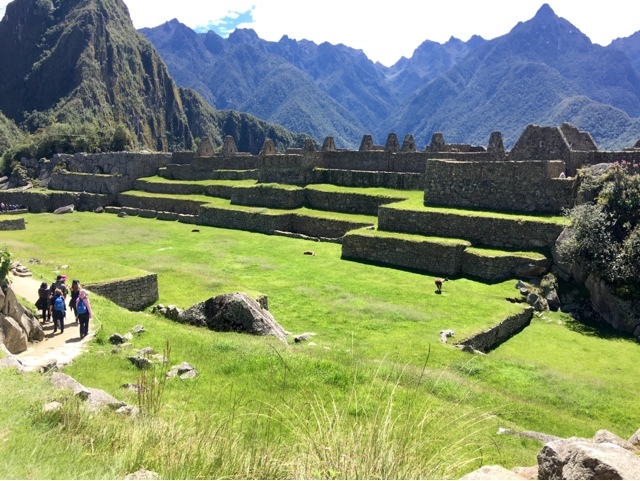 The weather was glorious, the guide, Gilberto, we picked up at the entrance fulfilled his promise to show us shortcuts and easier routes, and we saw more of Machu Picchu than we ever thought possible after Kathy's injury. 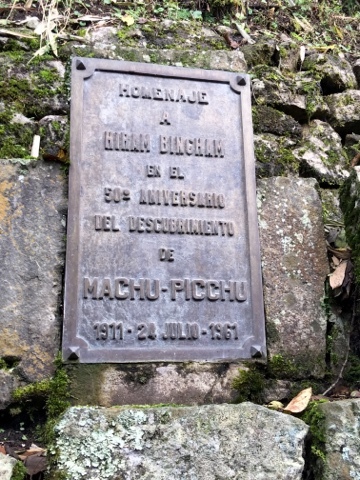 Hiram Bingham, the man who discovered Machu Picchu in the early 1900s. 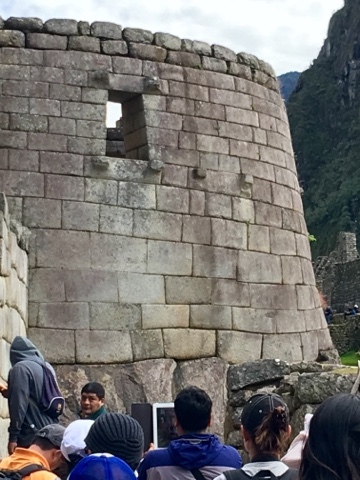 Look at the way those blocks are fitted. 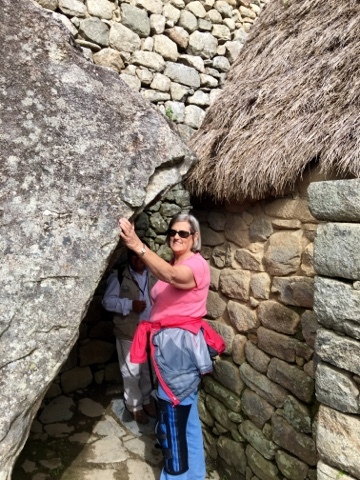 Our guide told us the rocks were originally covered with plaster. 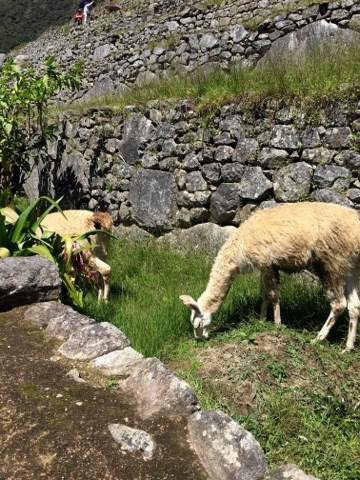 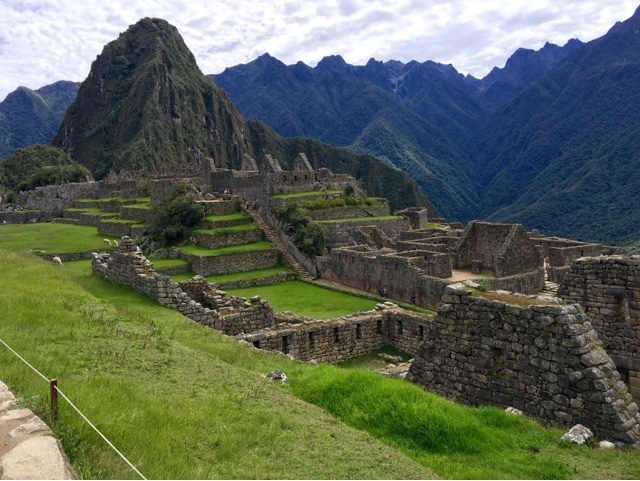 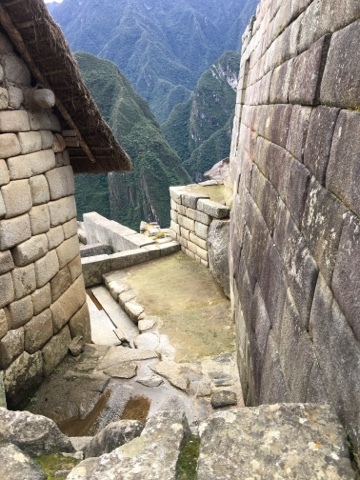 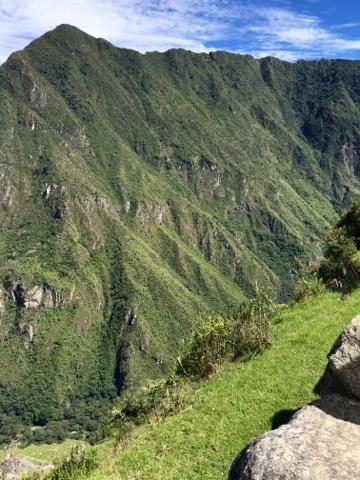 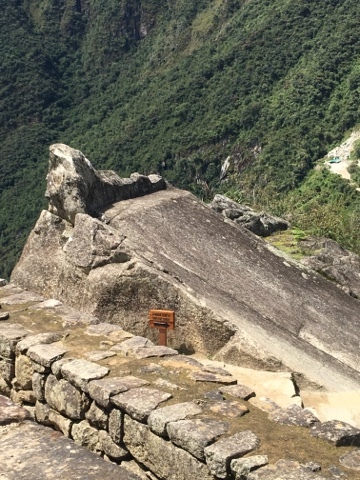 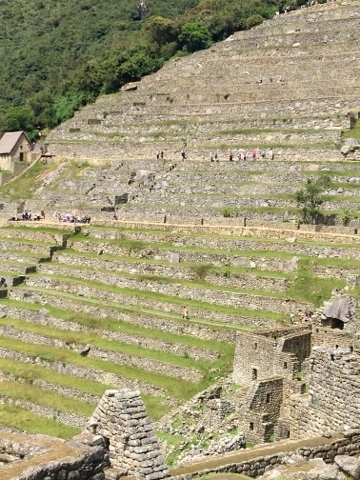 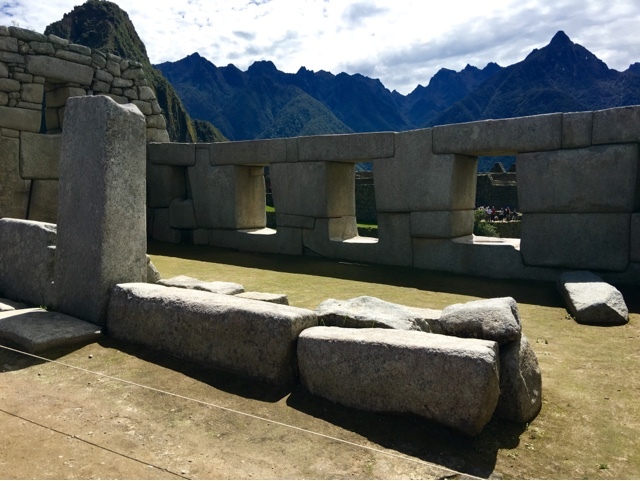 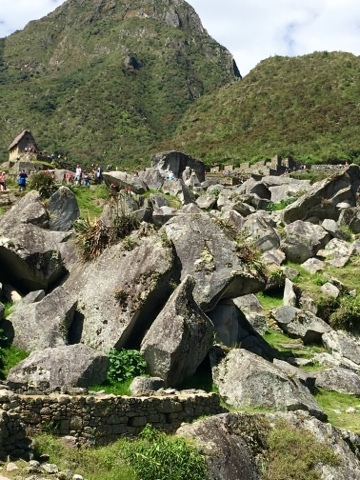 Machu Picchu's back yard, and the boulders are the same kind as the ones the Incas used to build Machu Picchu.